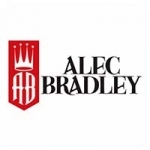 Purchase this product now and earn 1,410 Points! An embodiment of Nicaraguan passion. 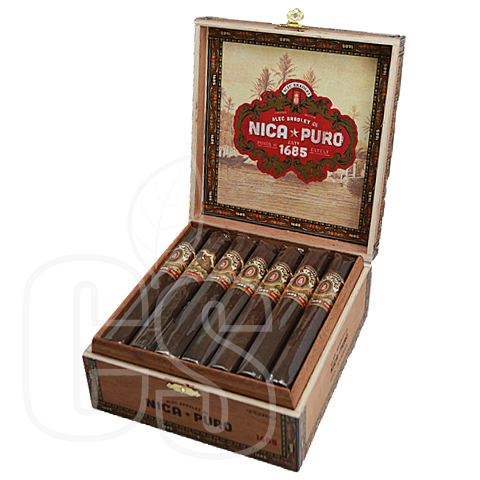 With a Nicaraguan soul and heart as any, the Alec Bradley Nica Puro is actually the first all Nicaraguan cigar from this famed brand. And it’s damn good. 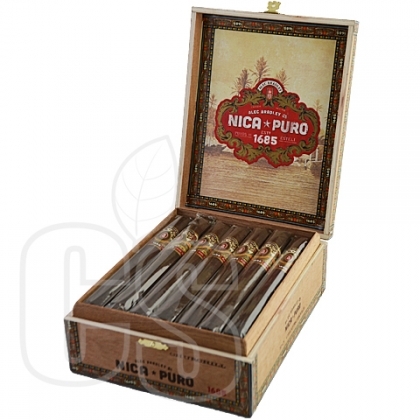 With a long-fermented Nicaraguan Habano wrapper, a balanced core of Nicaraguan long fillers and a Nicaraguan binder, a certain bold flavor unmatched by many can be found here. Rich notes of raisin, leather, coca, nutmeg, and roasted nuts definitely turn this medium to full bodied cigar into something pretty special. Receiving a outstanding “90” rating, I’m sure this isn’t the last pure Nicaraguan we’ll see from the mind of Alan Rubin.